Fans, collectors, and vinyl completionists rejoice! 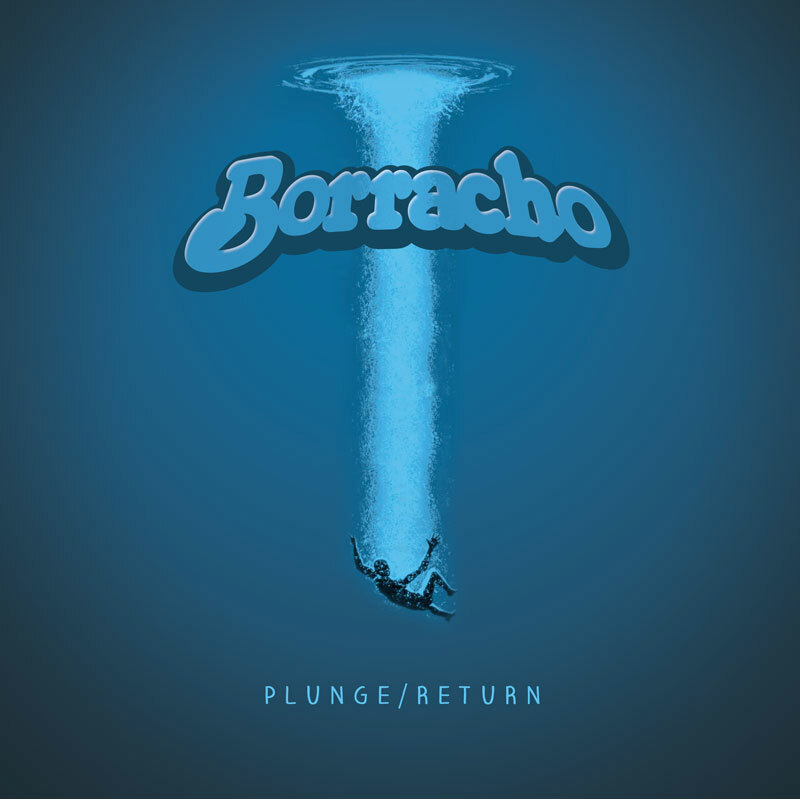 “Plunge/Return”, the epic closing track from Borracho‘s 2011 debut Splitting Sky, previously unreleased on vinyl, is finally available on this limited edition 10″ slab, after being excluded from the limited edition vinyl LP released by No Balls Records because of its length. The B side is a previously unreleased live version of “Grab the Reins”, also featured on Splitting Sky, was recorded in December 2011 at the Velvet Lounge in Borracho’s hometown of Washington, DC. The live recording and mixing of the track was done by Frank Marchand, who also manned the boards for recording and mixing of Splitting Sky. Three color options are available, clear, transparent blue, and solid white, all on high quality wax. Hand numbered gatefold sleeves seal the deal on this collector’s dream. Splitting Sky, from which both songs on the 10″ come from, was met with praise both critical and organic. The album scored glowing reviews and high end-of-year rankings from Heavy Planet, The Sodashop, The Obelisk, The Ripple Effect, and The Sludgelord, among many others. Having the lone track that didn’t make the LP pressed to wax is sure to please fans and collectors, as it sure as hell pleases the band. “We’ve been plotting to do this release for so long, and we’re really excited and proud to be able to get Plunge/Return onto vinyl. The amazing presentation is icing on the cake,” remarked vocalist/guitarist Noah Greenberg. And so, 13 months after Splitting Sky got the vinyl treatment, it’s crowning epic now gets the treatment as well.